One thing that hurts: ignorance. One thing that heals: presence. Ignorance is indulging mental activity. Ignorance is indulging sensory stimulations. Ignorance is seeking security in one or another idea. 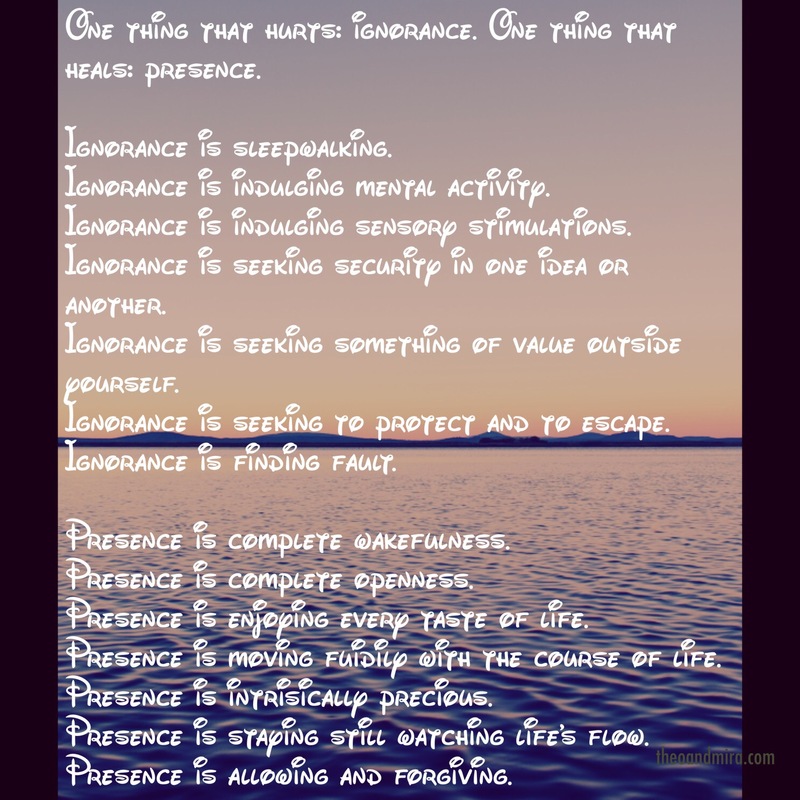 Ignorance is seeking something of value outside yourself. Ignorance is seeking to protect and to escape. Presence is enjoying every taste of life. Presence is moving fuidily with the course of life. Presence is staying still watching life’s flow. Presence is allowing and forgiving.